I have worked in the University of Pécs in Hungary for a year as a visiting scholar. At that time, a Korean drama named “Dong-I” was being aired by a Hungarian public broadcasting company. The local people I met were interested in Joseon Kingdom’s royal court system and what actually happened in history. How the manufacturers of cultural content were able to access such sources was because our ancestors, especially in the royal court, had the custom of exhaustive recording, that such historical recording written in Hanja was translated for the general public in modern “hangeul,” and that it was digitalized in this new era. Another source for such cultural content is our folklore. Even though they are now fading due to diverse dramas provided by the mass media, traditional tales and legends were created and transmitted along with the life of the Korean people through thousands of years. Folklore that strongly reflects life consists of the joys and sorrows of Koreans along their dreams and passions. People all over the world are able to sympathize with such a spiritual heritage. Folktales and fairy tales that are orally transmitted among the general populace are simple in content. However, as they are closely related to the very basic sentiments of the people, they can be accepted worldwide. As the Academy of Korean Studies (the Academy) recognized the importance of such folklore, it began researching and collecting Korean folklore in the 1980’s and published it in a “book” comprising 83 volumes. This, “The Complete Works of Korean Oral Literature,” as it is called, is accepted as one of the major cultural projects to have taken place since the independence of Korea. The work was done to transcribe folktales that had been orally transmitted and publish them. For a certain period of time, Korean television programs that dealt with Korean legends reproduced parts of this work as dramas, providing Korean people with something interesting to watch. Through the Korean Studies Digitalization Project done by the Academy, this content was digitalized and all of its components have been constructed into a database that is accessible via the Internet. This database contains around 15,000 folktales, which are categorized into standards invented by the Academy, and provides an opportunity not only to read the text form of the tales, but also to listen to a verbal form. However, as the budget provided by the government was cut short, the project was only conducted on a third of South Korean territory. Fortunately, as a new folklore collecting project was chosen as a part of the Ministry of Education’s Korean studies promotion, the research continued on the rest of the land from 2008, and most folklore scholars nationwide are participating in it. This time, the project to be conducted for 10 years was adjusted to the advanced environment. Voices were recorded with the sound quality of a CD, while some of the content is being recorded with digital video cameras. From the very beginning of the survey, the digitalized content is stored on the server of the Academy via the Internet. The content can be searched not only from a desktop computer but also various mobile instruments. When we are finally able to collect content from North Korea and overseas Koreans, The Complete Works of Korean Oral Literature will compile a vast accumulation of folklore from the Korean people. While the folklore is being surveyed, collected and digitalized, there is also an ongoing project to translate the metadata and to categorize it into internationally accepted standards, and to select and modernize the representative work. In the “International Conference on the Asian Folklore Digital Network” between Korean, Chinese and Japanese scholars held in 2011 at the Academy, all the participants acknowledged the advanced database of Korea and agreed in principle on establishing an interchange system between the three countries. Although there are countries that are more advanced than us in collecting folklore content, the Korean technique of digitalizing the content has developed to a level where many countries are taking a major interest in it. Should the plan to survey and research Korean folklore by digitalization succeed, this would contribute greatly in comparing our folklore content with foreign content. This is important as international exchange of folklore was not rare even in a time when transportation and communication was undeveloped. As I am responsible for the revision and enlargement of The Complete works of Korean Oral Literature, I believe it is fortunate that such a cultural resource of my people is being preserved in digital form in this era of knowledge and information. I also hope that the content collected by scholars and students all over the country, who are visiting villages here and there, will be put into practical use as a new cultural resource for hallyu. 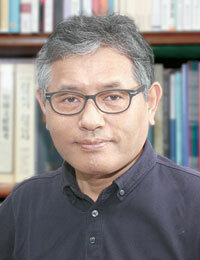 The writer is a professor of Korean Literature at the Academy of Korean Studies.